Welcome to Ultimate Elk Hunting, a online Elk Hunting resource. We are a comprehensive Elk Hunting website directory of guides, outfitters and lodges. If you choose to book your Elk hunt with us, you will be hunting in Rifle units 16/17/171 (archery is a state wide over the counter tag, so no unit is assigned) located in historic Jackson County, CO. This region is comprised of over a million acres and holds one of the strongest elk migration routs in the state of Colorado. In fall and early winter the herd, which is estimated at over 10,000 strong, migrate down from the surrounding local mountain ranges and as far away as the Rocky Mountain National Park and move directly through our ranches towards The Arapaho National Wildlife Refuge located less than 10 miles to the north of our ranches where they will winter until spring. 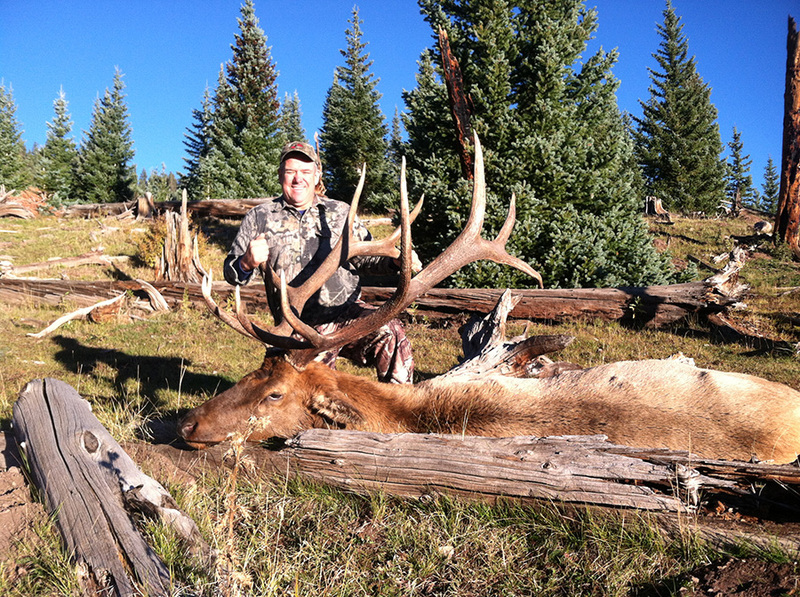 Visit our premium Elk Hunting outfitters, guides, and lodges to plan your next Elk Hunting trip.